If you want to host some awesome parties, just grabbing the best drinks isn’t enough! 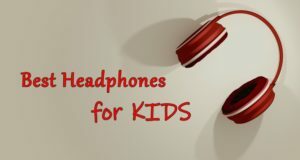 You need some amazing accessories as well. And if you’re a vodka lover like we are, you’re going to like this article. 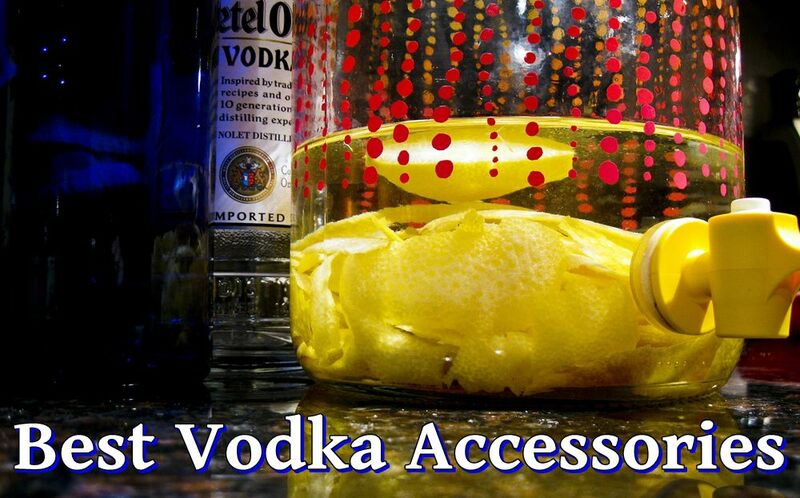 Because we’re sharing here the 15 best vodka accessories for your home bar. 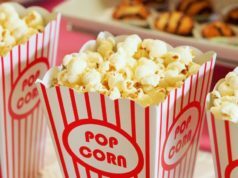 These are not only here to impress your guests, but also to make you feel better. You deserve the best just as much as your guests deserve the best. These are the perfect thing you need to help you take your personal bar scene to the next level. 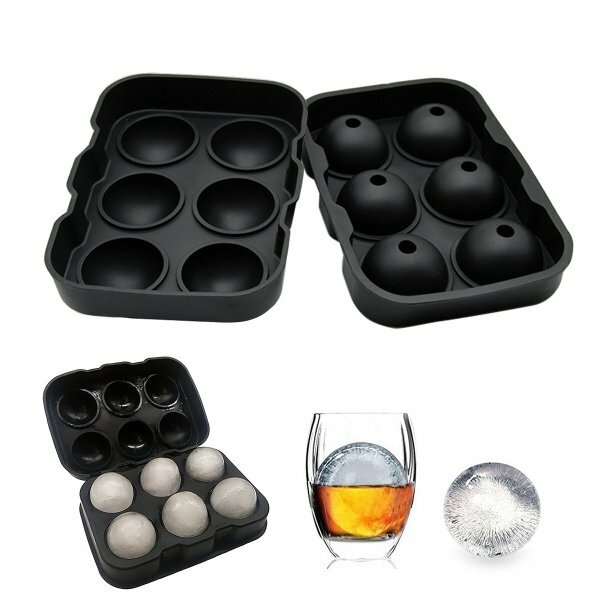 So let’s not waste a single second and let’s check out below the best vodka accessories for your home bar. This kit has everything you need to make your own all-natural handcrafted infused vodka, including a Chalkboard Tag to label your creation. 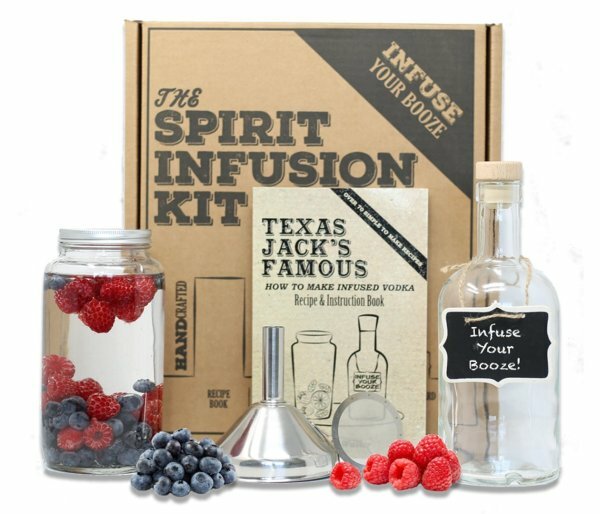 It also includes everything else that you need (except for the vodka itself): 110 page recipe & instruction book, infusion jar, bottle with wood cork top for the final product as well as funnel & strainer with fine mesh filter. In other words, a perfect gift for those who really love vodka or a perfect choice for yourself if you want to start creating your own infused drinks. There is nothing wrong about pouring the vodka from its original bottle. 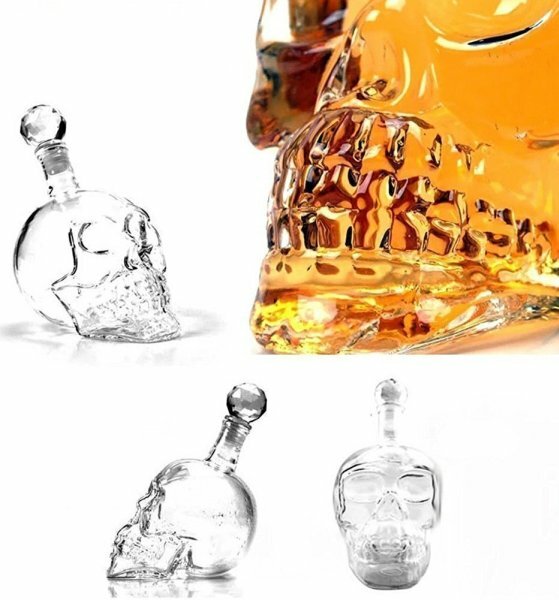 But everything looks even better if you choose this good looking skull head bottle. It won’t fit all occasions, but it’s perfect under the right circumstances! 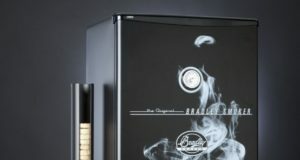 Want your drink ice-cold, but without it being diluted by water? 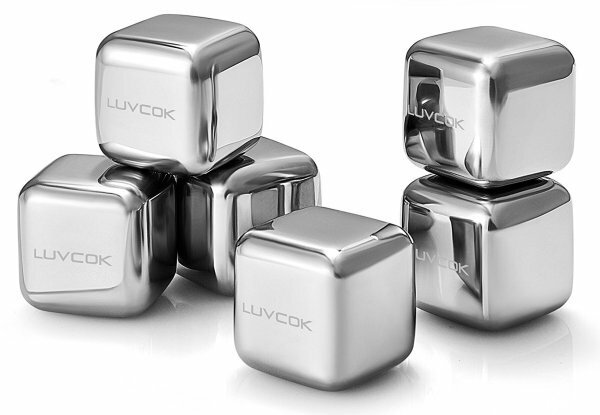 These stainless steel cubes are exactly what you need to get the job done. 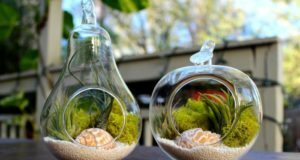 They are very stylish too and can be reused indefinitely. 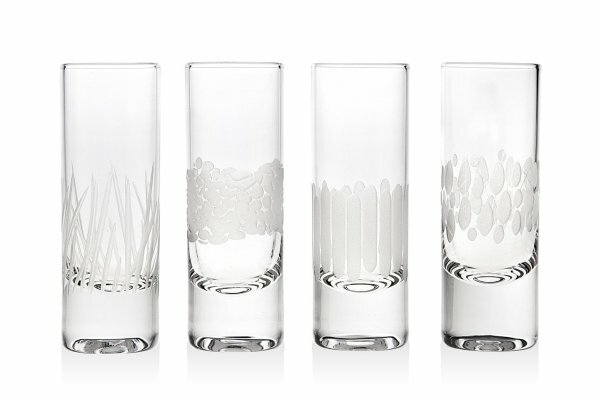 Although fancy glasses are not really a thing for vodka drinkers, it doesn’t hurt to have some. I always say that a good looking glass makes everything taste better and these are definitely some elegant, impressive glasses. 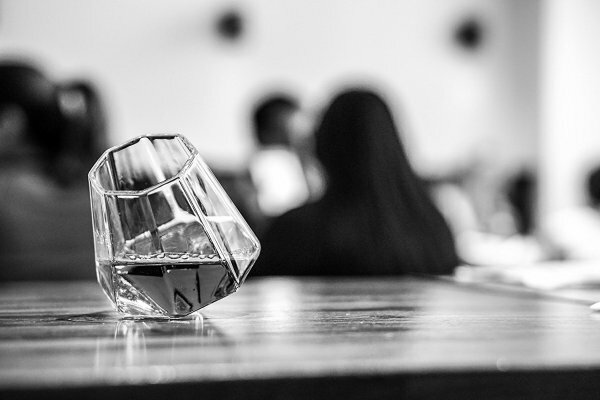 The tumblers rest at a spill-proof 50 degree angle and hold up to 10 ounces, being very stable at the same time. A great choice for sure! I’ll just say it: this is my favorite ice cub mold ever. 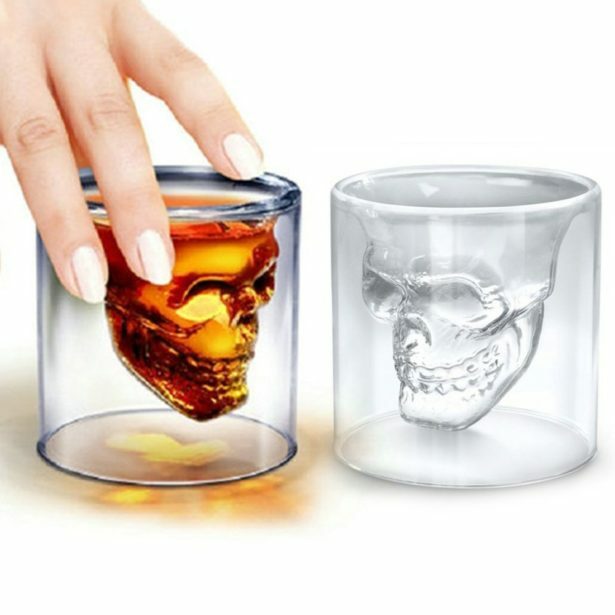 Maybe the skull bottle is not your thing, but skull shaped ice cubes? Now that’s something that you can’t find everywhere. 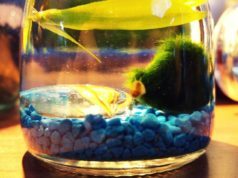 They go great with the bottle or alone – but they’re perfect for vodka! 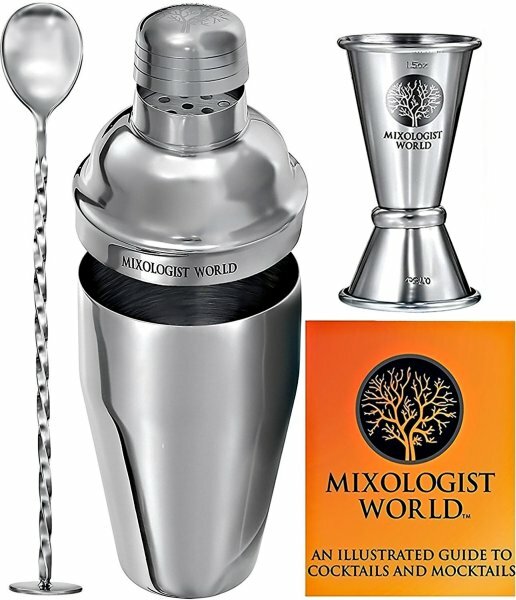 The Mixologist World Drink Mixer Set has everything you need to mix some awesome cocktails. Backed by a 5-year warranty, this is an investment you have to make, no questions asked! 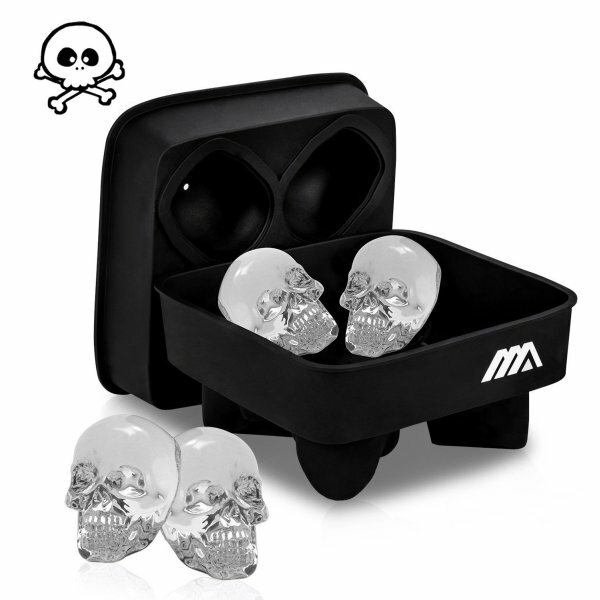 If skull-shaped ice cubes are not your thing, then you can always try these diamond ones. Bringing some bling to your glass, these are surely here to impress even the most demanding audience. 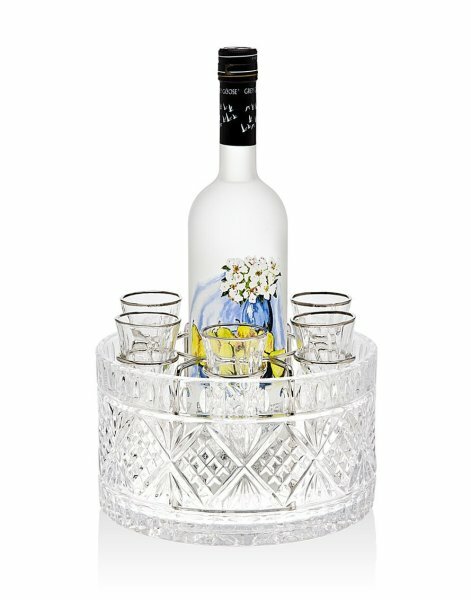 Crafted from fine non-leaded crystal, this set includes 6 glasses, 1 metal rack, 1 crystal base – you have to add your own vodka bottle, but I am sure that’s not a problem. 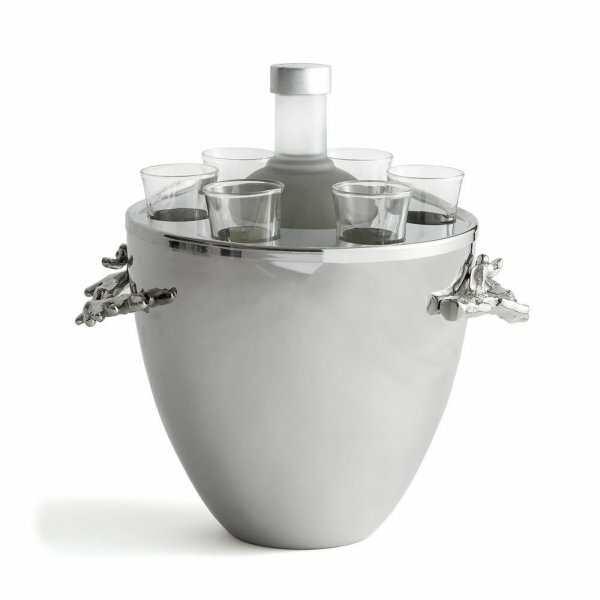 A great choice for vodka enthusiasts who want to keep their guests entertained. Now this is a really interesting concept: as soon as you pour some liquid into these glasses, they light up immediately. 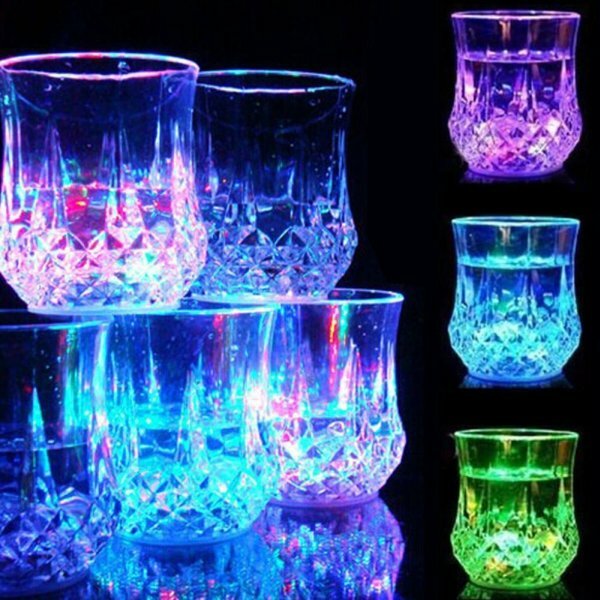 With different light colors and different light effects, these are certainly some of the most unique accessories on our list – and certainly made to entertain! 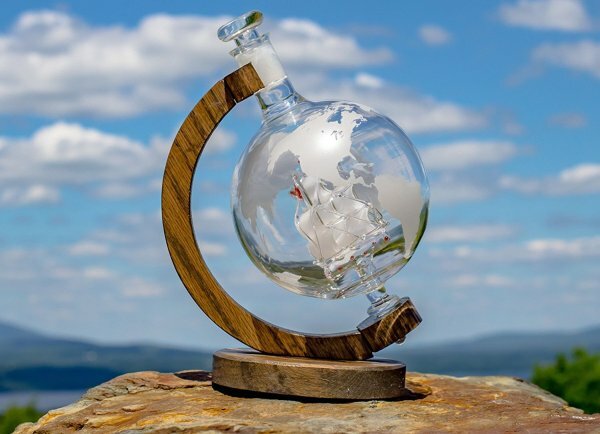 Stylish and elegant, this hand-blown decanter has a boat inside it and the world’s map on the outside. Unlike most other decanters, it’s also pretty large, holding 1,000 ml (33oz) of vodka. Just look at it and you’ll know that it’s perfect! 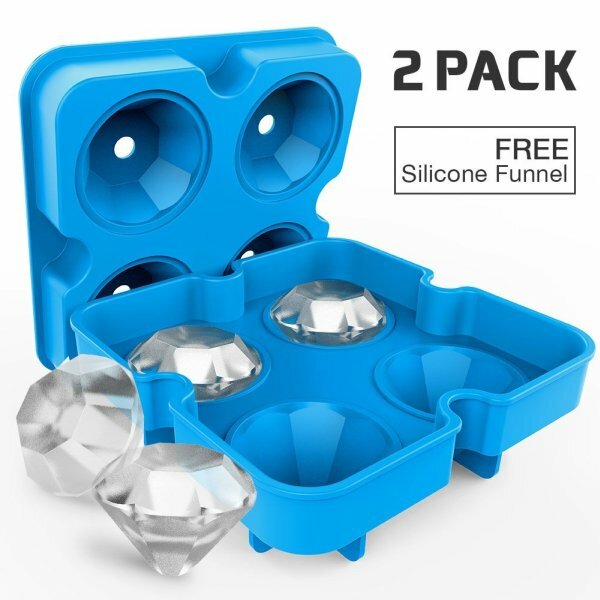 When you want to keep it simple and classy, these huge ice spheres are the perfect choice. Spheres melt at a slower pace than regular ice cubes, so there’s you added bonus! 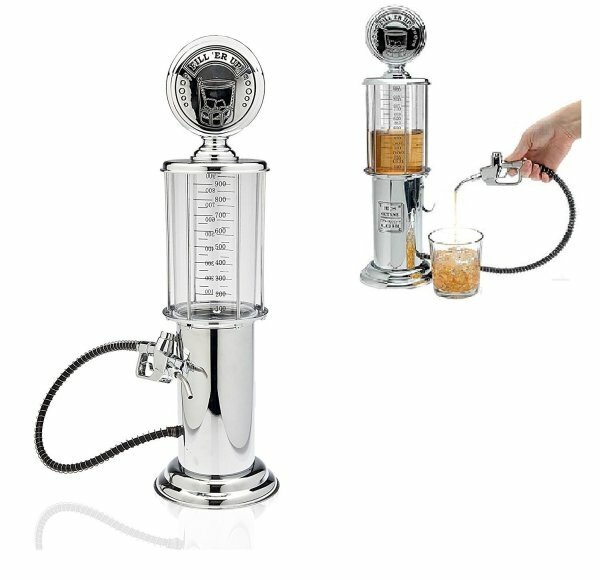 With its retro design that makes it look like an old gas pump, this vodka dispenser will definitely get the party started! Of course, you can use it for other drinks and not just vodka, which is an added bonus as well. And we’re back to skulls! Hope you enjoy them as much as I do, because these glasses are a must buy! Hand blown to perfection, these glasses hold 2.5 ounces or 75ml. So despite their name, I still wouldn’t do shots from a full one, but they’re still great for drinking! Hand crafted ice bucket to keep the vodka as it should always be: ice cold! Nothing more, nothing less! If the skull glasses are not your thing, you can definitely go with these. Beautiful models, dishwasher safe and waiting for the perfect drinks to lay the foundation for a perfect night. 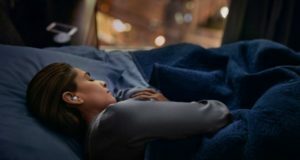 These are indeed some amazing choices! 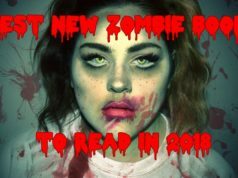 I am sure you will love them all – although I wouldn’t really suggest getting them all as you need to leave some room for the vodka as well. And, as always, don’t forget two important things: drink responsibly and don’t touch alcohol if you’re under the legal age in your country. Not even if you have these cool accessories! Ranking Squad is a participant in the Amazon Services LLC Associates Program, an affiliate advertising program designed to provide a means for sites to earn advertising fees by advertising and linking to amazon.com. © Copyright Ranking Squad 2014 - 2019. All rights reserved.